(ANNAPOLIS, Maryland) May 31, 2013—June is Adopt a Cat Month, and the CATalyst Council, a national initiative comprised of animal health and welfare organizations working on behalf of cats, is encouraging Americans to visit their local shelters during June and adopt a cat – or even better, two. 1. Knowing which veterinarian you will take your cat to after it’s adopted. Potential owners should schedule a visit with their chosen veterinarian within a few days of adoption so that the veterinary team can get to know the cat as early as possible. During this visit, your veterinarian will recommend the best food and preventive medications and provide tips to help ensure your cat’s health. In addition, this early trip can also help acclimate your cat to the process of visiting the veterinarian. 2. Familiarize yourself with the costs associated with owning a cat. Before bringing a cat home, ensure that your budget has enough room to handle the expenses that come with caring for a pet. This goes beyond food and litter and includes toys and other environmental enrichment tools, as well as annual veterinary exams and potential emergency visits. Many people choose pet health insurance to help in case an unexpected illness or other problem arises. 3. Knowing everyone in your family is ready for a cat. Talk to your family to ensure they are all excited about bringing home a furry family member, and that they’re ready to help care for it. The CATalyst Council is a national organization which includes a wide variety of animal health and welfare organizations as well as corporate members of the animal health industry that are working together to improve the health and welfare of America’s favorite pet. It was founded in response to troubling statistics released by the American Veterinary Medical Association that indicate an increase in our nation’s pet cat population coupled with a decline in veterinary care for those cats. More information about the CATalyst Council is available at www.catalystcouncil.org. 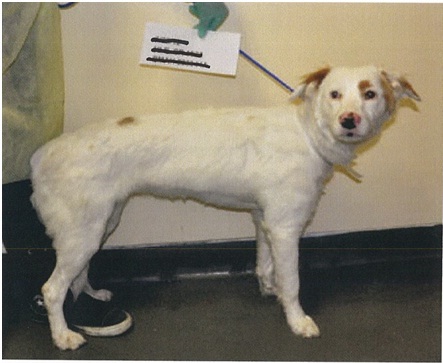 NEW YORK—Humane Law Enforcement (HLE) agents of the ASPCA® (The American Society for the Prevention of Cruelty to Animals®) arrested Bronx resident Patricia Reddick of Parkchester yesterday for allegedly abandoning her one-year-old female Brittany spaniel mix, named Marley. On June 23, 2012, a passerby came across a dog that was tied to a fence in a park near the intersection of Seward and Underhill avenues in the Bronx. The individual called Animal Care & Control, whose officers picked up the dog and took her to their Manhattan facility. Shortly thereafter, ASPCA HLE agents were notified and transferred the dog to the ASPCA’s Bergh Memorial Animal Hospital for evaluation and treatment. After investigating the incident, it was determined that Ms. Reddick was responsible for abandoning Marley. Upon intake, Marley was found to be thin and slightly dehydrated. She was given food and water and was vaccinated by ASPCA veterinarians. Marley is recovering at the hospital and will eventually be made available for adoption. Reddick, 62, was arrested by ASPCA Special Agent Joseph Vais. She was charged with one count of abandoning an animal, a misdemeanor offense. If convicted, she faces up to one year in jail and/or a $1,000 fine. Reddick is due in Kings County Criminal Court on November 20. Before relinquishing your pet, consult a reputable trainer or animal behaviorist for assistance. Many companion animals are given up by their guardians because of behavior problems—and in most cases, there are things that you can do to change your animal’s unwanted behavior. If you have made up your mind that you cannot keep your pet, try to find your pet a new home through your own personal contacts. Under no circumstances should you simply abandon your pet. Do not give up if you don’t find a home for your animal right away. Finding an ideal home for a companion animal may take considerable time and effort, but your pet’s future is in your hands. Fluffy- 8 lb male, 10-12 month old, neutered and vaccinated. He is very friendly, good with kids, dogs and adults. Purrs constantly and loves to be held. Skinny- 9 lb male, 10-12 month old, neutered and vaccinated. He is also very friendly, good with kids, dogs and adults. He loves to be scratched behind the ears and tummy. Andy in Georgia who has been with a Foster for two months. Saved from Euthanasia the day that he was to be killed. Please don't turn your back on this sweet boy. Neutered, very friendly, and totally ready for loving, forever homes. If ANYONE seeing this message can pass along to responsible pet parents this little guy needs a loving home and the foster parent will pay for their transport, and foster parent fully financially sponsors them to a legitimate, honorable rescue group. Athello is a big boy with a mellow personality. He has double dew claws and looks like a golden/pyrenese/? mix. He is about 2-3 years old and came in underweight. He is a very sweet and beautiful dog. Hi is in Chipley Fl Shelter. This sad boy will be put out of his misery without knowing love and security because his shelter is overflowing. In Chipley FL shelter, talk with Belva 850-638-2082, 9am-1pm EST. Framingham, MA-A 40 mile per hour couch potato is just waiting to be adopted into a loving and permanent home and what better month than National Adopt-a-Greyhound month to welcome a beautiful, graceful and gentle greyhound into your family. April is National Adopt-a-Greyhound month and the need to place greyhounds housed in temporary homes and facilities has never been greater. The Greyhound Project is spreading their message of greyhound adoption awareness to ensure that 100 percent of these greyhounds find caring homes. In the last three years, 11 racetracks have closed around the nation because legislative initiatives and a struggling economy, putting enormous pressure on adoption groups to find homes for as many as 1,000 dogs at every track closing. Pending legislation in Florida may mean that many of its 13 tracks will soon close. Add greyhounds that have retired from still active tracks around the country and you have thousands of wonderful, elegant dogs being cared for by adoption groups as they wait to be adopted into their permanent homes. NEW YORK—The ASPCA® (American Society for the Prevention of Cruelty to Animals®) today announced that 56 animal rescue organizations are receiving grant funding to participate in the first ever ASPCA ‘Mega Match-a-thon’ event, which will take place in late March and early April 2012. The ASPCA is granting $492,250 to support a host of large-scale adoption events held nationwide in an effort to save more lives of shelter animals. Bark Avenue Foundation in Studio City, Calif.
Riverside County Department of Animal Services in Riverside, Calif.
Sacramento SPCA in Sacramento, Calif.
Humane Society of the Pikes Peak Region in Colorado Springs, Colo.
Humane Society of Greater Miami in Miami, Fla.
Humane Society of Tampa Bay in Tampa, Fla.
Jacksonville Humane Society in Jacksonville, Fla.
Leon County Humane Society in Tallahassee, Fla.
Peggy Adams Animal Rescue League in West Palm Beach, Fla.
Boggs Mountain Humane Shelter in Tiger, Ga.
Georgia Heartland Humane Society in Newnan, Ga.
Chicago Animal Care & Control in Chicago, Ill.
Tree House Humane Society in Chicago, Ill.
South Suburban Humane Society in Chicago Heights, Ill. TAILS Humane Society in Dekalb, Ill.
City of Fort Wayne Center for Animal Care & Control in Fort Wayne, Ind. No More Homeless Pets KC in Merriam, Kan.
Scott County Humane Society in Georgetown, Ky.
Louisiana SCPA in New Orleans, La. Merrimack River Feline Rescue Society in Salisbury, Mass. New England Society for Abandoned Animals in Osterville, Mass. Animal Allies Humane Society in Duluth, Minn.
Columbia Second Chance in Columbia, Mo. Joplin Humane Society in Joplin, Mo. Kansas City Pet Project in Kansas City, Mo. Wayside Waifs in Kansas City, Mo. Humane Society of Western Montana in Missoula, Mont. Asheville Humane Society in Asheville, N.C.
Humane Society of Atlantic County in Atlantic City, N.J.
Santa Fe Animal Shelter and Humane Society in Santa Fe, N.M.
Erie County SPCA in Tonawanda, N.Y.
Mayor's Alliance for New York City's Animals in New York, N.Y.
Mohawk and Hudson River Humane Society in Menands, N.Y. Animal Friends in Pittsburgh, Pa. Better Days Animal Rescue in Shippensburg, Pa.
Greenville County Animal Care Services in Greenville, S.C.
Humane Net in North Charleston, S.C.
Augusta Regional SPCA in Staunton, Va.
City of Galax Animal Control in Galax, Va.
Fluvanna SPCA in Troy, Va.
Lynchburg Humane Society in Lynchburg, Va.
Middleburg Humane Foundation in Middleburg, Va.
Peninsula SPCA in Newport News, Va.
Virginia Beach SPCA in Virginia Beach, Va.
Humane Society for Southwest Washington in Vancouver, Wash.
SCRAPS Hope Foundation in Spokane Valley, Wash.
Dane County Humane Society in Madison, Wis.
For more information about the ASPCA ‘Mega Match-a-thon’ events these shelters will be holding, please stay tuned to the ASPCA. Founded in 1866, the ASPCA® (The American Society for the Prevention of Cruelty to Animals®) is the first humane organization established in the Americas and serves as the nation’s leading voice for animal welfare. More than one million supporters strong, the ASPCA’s mission is to provide effective means for the prevention of cruelty to animals throughout the United States. As a 501(c)(3) not-for-profit corporation, the ASPCA is a national leader in the areas of anti-cruelty, community outreach and animal health services. The ASPCA, which is headquartered in New York City, offers a wide range of programs, including a mobile clinic outreach initiative, its own humane law enforcement team, and a groundbreaking veterinary forensics team and mobile animal CSI unit. For more information, please visit www.aspca.org. To become a fan of the ASPCA on Facebook, go to www.facebook.com/aspca. To follow the ASPCA on Twitter, go to www.twitter.com/aspca.